A group of US congressmen on a J Street tour were unpleasantly surprised when Deputy Foreign Minister Danny Ayalon refused to meet with them. Massachusetts Democrat William Delahunt fumed Wednesday that "in our opinion, this is an inappropriate way to treat elected representatives of Israel's closest ally who are visiting the country." Delahunt was joined by Democrats Donald Payne of New Jersey, Lois Capps of California, Bob Filner of California and Mary Jo Kilroy of Ohio. Kilroy was a signor of the Cohen-Boustany-Carnahan letter given to US President Obama in May 2009. The letter urged Obama to become intimately involved in forcing talks between Israel and the PA, and said the creation of a Palestinian state must precede transparency of the PA government, control over security, or a stable economy. 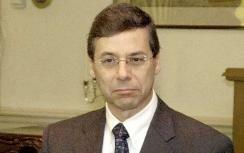 Capps attended the signing of the Geneva Accords in 2003 and served as an official monitor of the PA elections in 2005. She also co-authored a letter with Congressman Henry Hyde following the expulsion of Jews from Gush Katif in 2005, praising then-US Secretary of State Condoleeza Rice for applying pressure to Israel to open the border crossing from Gaza into Israel. Capps was a signatory to the Ackerman-Boustany letter of October 2007, which pushed Israel and the Arab world to meet for US-brokered talks at the Annapolis Conference, and also signed the Cohen-Boustany-Carnahan letter. Filner was one of just 28 Democrats who called for an immediate ceasefire between Israel and terror group Hizbullah in 2006, after the Lebanese terror organization rocketed Israeli civilian communities and attacked an IDF security convoy, abducting soldiers Ehud Goldwasser and Eldad Regev before Israel responded militarily. He also signed the Ackerman-Boustany letter and the Cohen-Boustany-Carnahan letter. Delahunt sponsored a House Resolution supporting the appointment of former Senator George Mitchell as Special Envoy for Middle East Peace. He also signed the Ackerman-Boustany letter and the Cohen-Boustany-Carnahan letter. Delahunt said his group was "puzzled" that Ayalon tried to block the J Street group from meeting with Foreign Ministry and Prime Minister's Office officials. On Tuesday, Ayalon said he believes J Street willfully misrepresents itself as a pro-Israel organization, when it is not. J Street has attempted to present itself as pro-Israel, a dovish version of AIPAC. Yet pro-Israel advocates and activists have almost universally condemned J Street as an anti-Israel, pro-Arab organization posing as a voice for American Jewry. Rabbi Eric Yoffie, President of the Union of Reform Judaism, called J Street's condemnation of counter-terror Operation Cast Lead "morally deficient", and "profoundly out of touch with Jewish sentiment." Well-known Israeli pundit and writer Caroline Glick asserted that J Street's foremost interest is in weakening Israel. Israeli Ambassador Michael Oren refused to attend J Street's first annual conference, but Kadima party members Meir Sheetrit, Chaim Ramon, and Shlomo Molla did attend.